Situated in the heart of what made California the entertainment capital of the world, Hollywood, is the ideal Condominium Home you've been waiting for. This well maintained gated complex is located just minutes away from Downtown Los Angeles and near entertainment, restaurants, markets and offers easy access to the 101 freeway. The unit is on the more favorable second floor and features two well-sized bedrooms, two private bathrooms, and an entertainers living room with balcony and bar. Don't wait, this one will go quickly. Lot Size: 0.21 Acres / 9301 Sq. Ft.
SchoolsClick map icons below to view information for schools near 1046 N Normandie Avenue #10 Los Angeles, CA 90029. Listing provided courtesy of Olga Safonoff, Pinnacle Estate Properties, In. Home for sale at 1046 N Normandie Avenue #10 Los Angeles, CA 90029. Description: The home at 1046 N Normandie Avenue #10 Los Angeles, CA 90029 with the MLS Number SR19032311 is currently listed at $317,000 and has been on the Los Angeles market for 65 days. 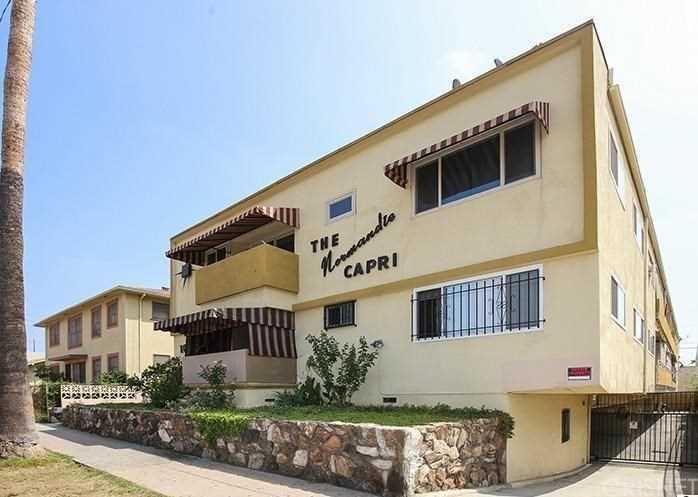 You are viewing the MLS property details of the home for sale at 1046 N Normandie Avenue #10 Los Angeles, CA 90029, which includes 2 bedrooms, 2 bathrooms and has approximately 1124 sq.ft. of living area.